Having a customer portal may help you serve your customers better. But, before investing in an off-the-shelf or custom-built customer portal solution, determine whether it's a good fit based on business goals, projected growth, and budget. A customer portal is one way to communicate with your customers and provide accessible information. It may take the form of an online banking portal to access account information and pay bills, a patient portal to schedule doctor’s appointments and access medical records, or a student and faculty portal to download course syllabi and homework assignments. A customer portal serves as a secure bridge for sharing information between your company and your customers. But, when should you invest in building a customer portal? After partnering with multiple companies to help them develop custom customer portals, the team at Praxent, a custom software and user experience agency, walks you through how to determine whether a customer portal is right for your business. Then, if investing in a customer portal is right for you, we tell you the difference between custom-built and off-the-shelf solutions. Finally, if you need a custom-built portal, we share three steps to help you get started. When should a company invest in a customer portal? The main objective of building a customer portal is to provide additional value to your customers. An effective customer portal can save your business time and money by automating processes, like billing, scheduling, or online payments. But, the decision to invest in a customer portal should come from a desire to improve the customer experience. A well-designed, effective customer portal improves the quality of interaction between your brand and customers by offering more responsive communication, easier access to information, and a more convenient way to interact with your brand. However, a customer portal that doesn’t match your business goals or meet your customers’ needs has the opposite effect. It wastes your company’s time and money and leads to frustration and alienation among your customer base. Before deciding to invest in either buying or building a customer portal for your business, it’s crucial that you take the time to analyze your goals and weigh your motives. After working with multiple companies to design and develop custom-built portals, the team at Praxent observed three common motives for investing in customer portals. Provide a secure information-sharing platform that disrupts your industry and creates unique value for your customers. Drive business growth and scale your customer service infrastructure. Save your company time and money on completing tasks that customers could do themselves, such as processing bills and payments. Understanding the advantages and disadvantages of acting on these three motives will help you determine whether a customer portal is right for your business. Companies that build a customer portal to alter how customers interact with their products and services often experience success. The leadership team of Houston-based retail electric provider NRG Energy wanted to revolutionize the process of buying and installing solar panels for homes. Having a customer portal was crucial for achieving this goal. NRG envisioned a platform that automated the process of bidding on solar installation and provided homeowners the ability to explore different financing options before making a decision. They decided on a custom, cloud-based portal to process solar installation bids and generate estimates for buyers in real time. The industry hadn’t seen anything like NRG’s portal before. Within a year of launch, thousands of independent representatives were using NRG’s Home Solar platform and closing sales at a rate well above the industry average. In fact, the portal is credited with generating $80 million in new sales for NRG. The platform’s value to users was clear. The financing features were a faster and more precise way for customers to see how much money investing in solar energy would save them in the years to come. The portal was a win for NRG because it was a win for their customers. As your business grows and attracts more customers and users, your infrastructure for engaging with customers needs to adapt. A customer portal is one way to scale as your business grows. The Praxent team recently worked with a company that provides state-of-the-art diagnostic products in the healthcare field. As the company expanded its product offerings, its client base grew as well, nearly bursting the proverbial seams of their customer service infrastructure. Because the company is responsible for providing customers with accurate information that affects patients’ lives, it shoulders an incredible amount of risk and responsibility. The company wanted to uphold its reputation for handling data reliably and accurately and set a new industry standard. They looked to a customer portal to accomplish the goal of standardizing processes for disseminating critical information and keeping their customers informed in a timely manner. Their portal makes it easier for customers to access the information they need quickly. And, the company is able to expand its reach – selling more products using streamlined processes. Watch your current system for performance in key areas, such as quality of service, convenience, timeliness, and accuracy of information. If growth is causing your system’s performance to worsen in those areas, then it may be time to consider a customer portal. If reducing the time and cost of communicating with customers is your main motivation for investing in a customer portal, be cautious. Customers are motivated to change processes and begin using a portal if it saves them significant time and effort. The story of Frank Garofalo, Principal Consultant and Founder of Garofalo Studios, a user experience and interactive strategy consulting firm, highlights the potential downfall of creating a customer portal that customers don’t want to use. While the Garofalo Studios’ portal was well designed, their customers simply didn’t use it. It was easier for customers to call or email the company than to log into the system and find the information they needed on their own (no matter how clearly that information was presented to them in the portal). 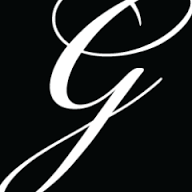 Calling and emailing was the customers’ go-to process for communicating with Garofalo Studios. It worked for them before, so why change the habit? Remember, customer portals are meant to serve the customer, not make life harder for them. Avoid the temptation to view customer portals as an easy way to push work onto your customers. If the transition is unlikely to save them considerable time and effort, then you could end up investing in a tool that a large portion of your customers won’t even use. Company size plays a role in whether your portal gets buy-in from customers, said Garofalo in an interview. Person-to-person interactions generally come naturally for smaller companies. As a company grows into a larger corporation, the sheer volume of interactions they have to deal with can become a barrier to providing personalized, timely service. At that stage of growth, it’s more convenient for customers to access a portal than it is to pick up the phone and deal with automated phone systems, long menu lists, dropped calls and on-hold elevator music. If you try to use a customer portal before the time is right, then chances are, the software will simply sit idle until your company reaches a level of growth that demands the solution. At that point, the software you chose to implement years ago may not even have the features you now need. You Decided a Customer Portal Is Right For Your Business: Do you choose off-the-shelf or custom-built software? If the time is now and the reason is right to start using a customer portal, then your next step is to decide between off-the-shelf and custom-built options. If you’re dealing with a standard set of operations that are not new to your industry, like online banking or invoice tracking, then there is likely an off-the-shelf product that will meet your growth-related needs. For a customer portal that’s truly unique and tailored to your business and customer needs, custom built is the way to go. 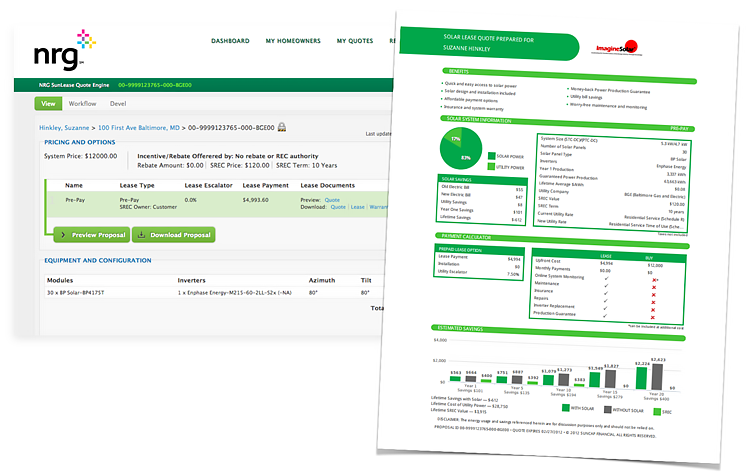 The diagnostic products company that served the health care field (from the example above) was using off-the-shelf software when they approached the Praxent team for help. A custom-built portal better fits their business needs of automating complex processes and keeping client data secure. They needed a long-term, scalable solution. For NRG Energy, building a custom portal was a way to think entrepreneurially. They wanted to disrupt the industry and therefore built the business around a unique point of interaction. Are there opportunities to disrupt your industry; to solve a problem and vastly improve customer experience as a result of your customer portal? If so, building a custom portal with an innovative, new feature could be the game-changer that transforms your company into a disruptive force to be reckoned with. If you choose to create a custom-built customer portal for your business, follow a three-step approach to ensure the best possible results with the least amount of risk. Before building your custom portal, hire a development team that meets three criteria. Adaptable: A development team that can recommend a framework that’s tailored to your unique business needs, instead of relying solely on past experiences with other clients. Flexible: A team that uses an agile, or iterative development process that encourages open communication and collaboration between the design and development teams throughout the entire process. To avoid “white labeling” (when a contracted agency hires a third-party to help with a development project), seek out firms that use a split-agency partnership model. Communicative: Regular communication and feedback about the project’s timeline, budget, and scope is crucial to ensure the end project meets your business needs. Analyze your current processes and solutions for interacting with customers to pinpoint the features and functions you need from a custom-built portal. Then, make a list of the existing off-the-shelf software you use. Choose a technical approach to developing the software that meets the feature and functional needs for your customer portal and integrates well with other software that you use. This technical analysis is crucial for avoiding data decentralization. Create a prototype to test the user experience and work out pain points before launching the portal. Look to prototyping software, like ClickModel to help you through this step. How will it work on different devices? Understanding the answers to these questions will help your refine your portal’s user experience. Don’t be afraid to think outside the box when it comes to customer portals. A portal that allows your customer service infrastructure to scale is indispensable. But one that serves customers so well it actually drives new growth is even better. Whether it’s an off-the-shelf or custom-built solution, a customer portal that’s implemented at the right time and for the right reasons, can be the ultimate win-win situation for both your clients and you. Tim Hamilton is Founder and CEO of Praxent. 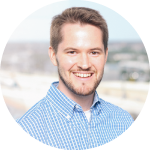 Tim is actively involved in the strategy and operation of the firm and has a passion for perfecting the process of software development and building a world-class culture. With degrees in MIS and Economics from UT Austin, Tim has extensive experience with enterprise IT and business management.